- CITY lettering on lower back. 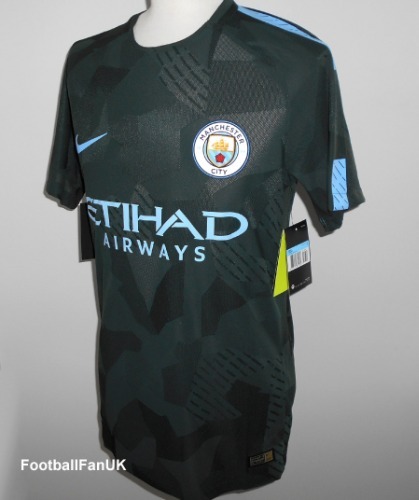 - Dark green camouflage style with light blue trim. - Please check out our own stock photos of the actual shirt (size S shown in photos).